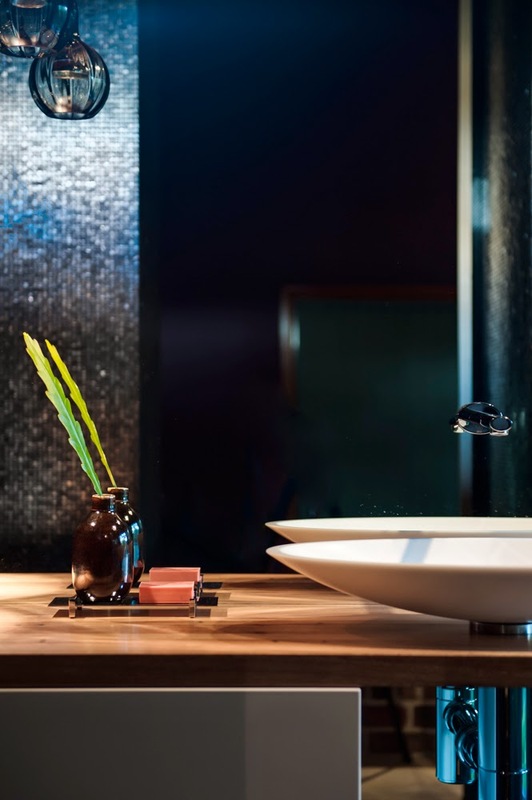 We have heard this over and over in our living spaces and now with much excitement we are starting to hear and see this happen in bathing spaces. 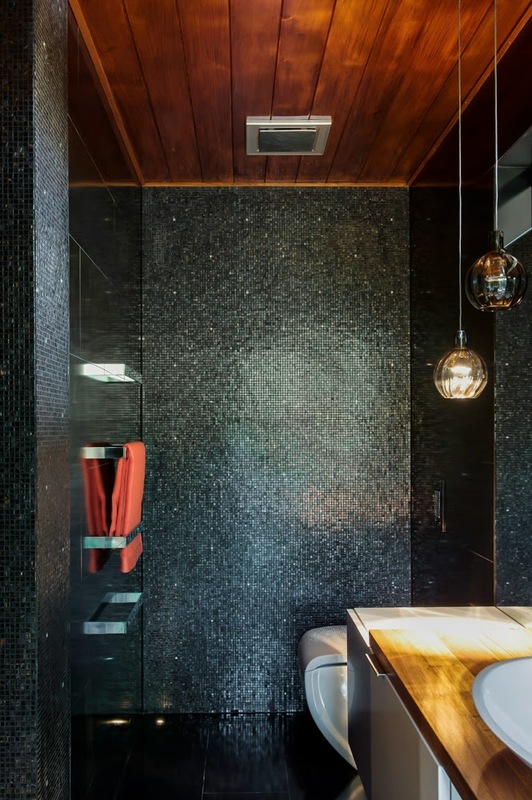 This connection with outdoors is one of complete relaxation, we have seen this used in day-spa design for such a long time so why not in the home? 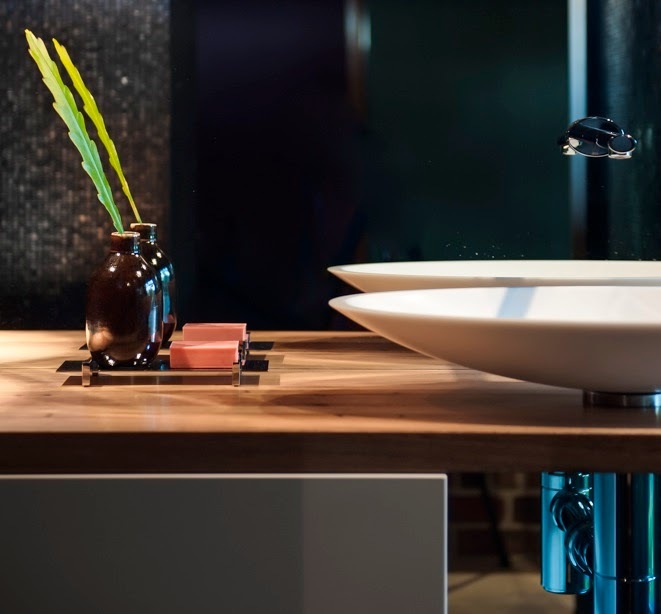 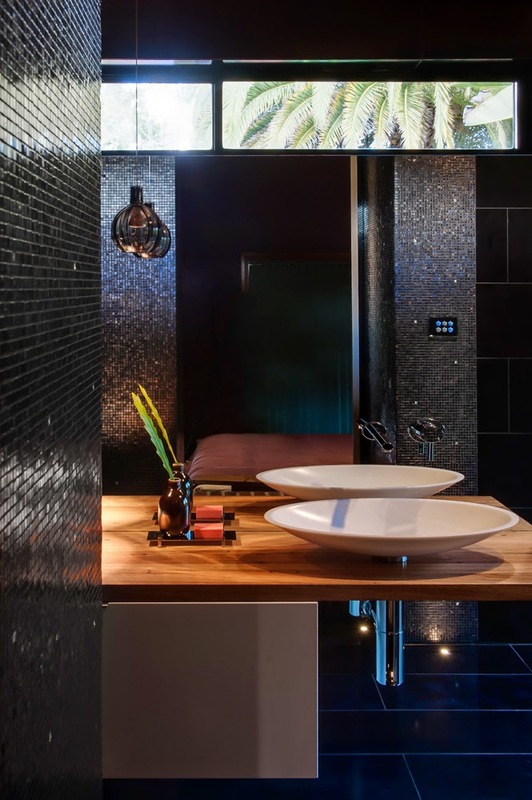 One of the main reasons we do not see this connection often is space, not necessarily the space in the bathroom but more the space outside the bathroom. 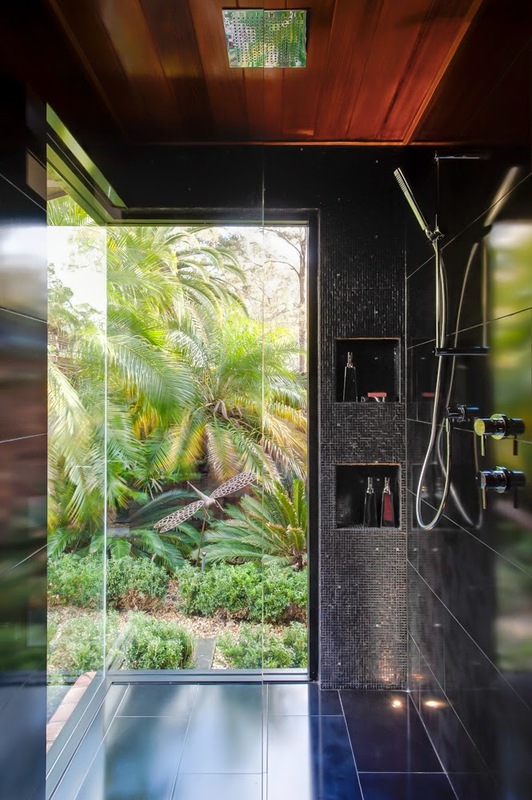 The real success of this small dark bathroom is the way it has connected with the outdoor space, a personal & private planted out courtyard that you would only ever visit when weeding or pruning, it is now part of the interior and most importantly it feels like you are showering in it. 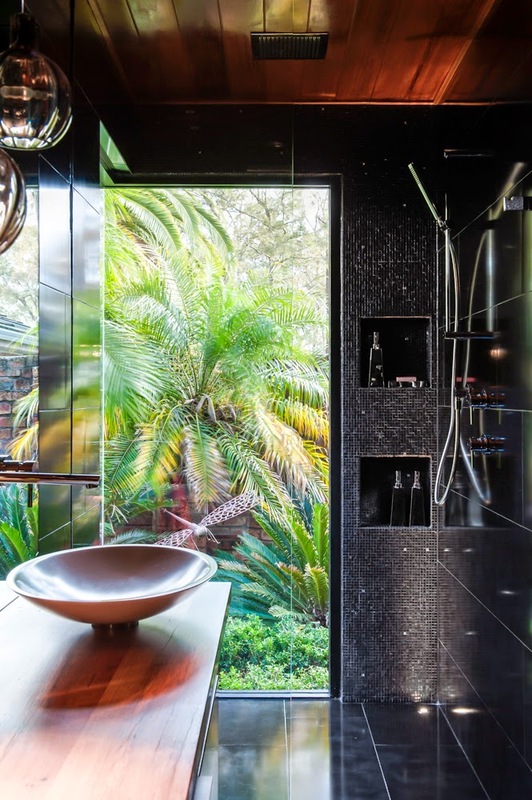 There was a real drive when conceptualizing this space to make the space dark and refined to make this stunning small garden such a strong part of the interior space. 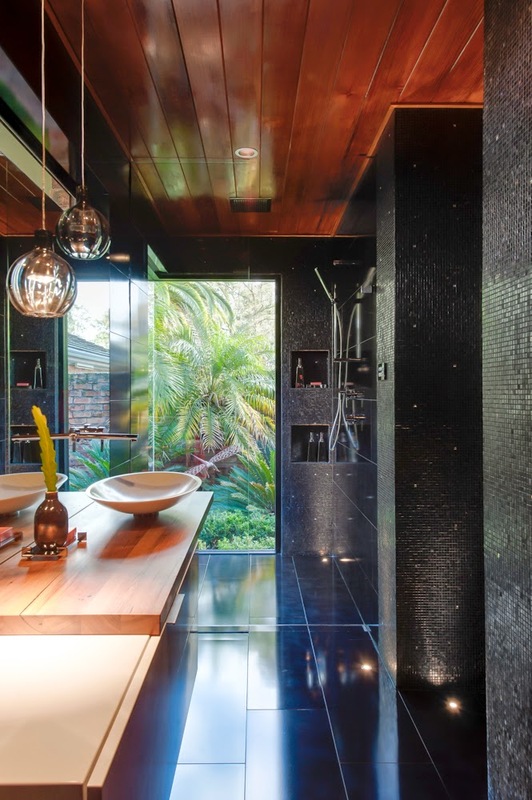 The use of lighting also plays a large part at night also with the floor LED that light up with the garden lights so at night the spaces remain connected. 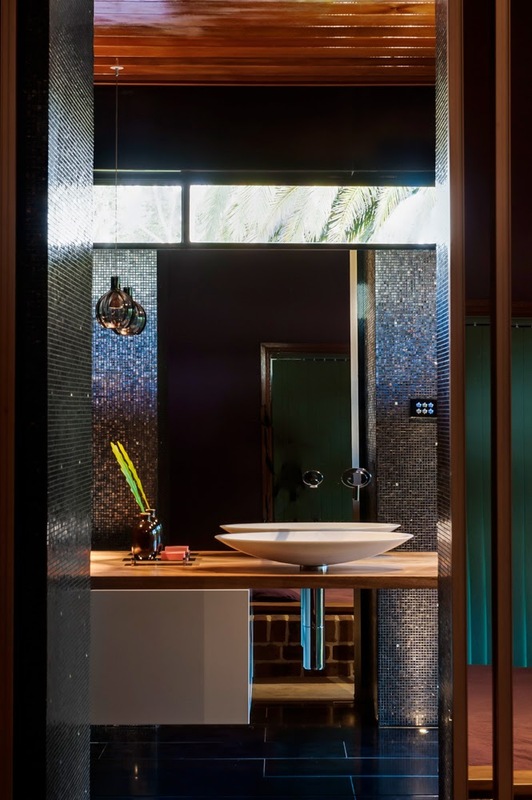 To play on nature recycled wood was used of the benchtop and the ceiling with striking Bisazza tiles used vertically to add the smallest touch of bling.